In the manual I see that bCAL_in has an internal pull up, so I have to connect bCAL_in to GND for about 8sec in outdoor stable environment, right? Located in Belgium, Bruges. Working on a full DIY domoticz setup with ESPEasy. It's a genuine unit as far as I can tell. But it could be a QA approved Senseair unit that has been mistreated at customer site. And a employee may have taken it and sold it on AliExpress? This is just guessing by me. Looks like there are several sellers on Ali with this item, so there are probably substantial numbers available. An employee stealing that volume seems unlikely. Plus.. all Senseair employees are honest, right? Is that 15sec interval a recommended setting? Because now my value is lower (but still to high). Regarding Senseair employees stealing approved units I see it as more unlikely since the units are delivered from Senseair. QA rejects are a completely different story though, they are marked as destructed and "have never left the factory". But these AliExpress units are not rejects. Could it be one marked to read a different range of concentration values? Changing calibration levels is something I would only start doing as an absolute last resource. According to the specifications for the unit it's a normal unit, no special settings. you can see the difference when whe were out of the house, and when sleeping the ppm value got slightly higher. When we woke up you can see the value increased. Only weird thing is the spikes around 5 a.m. 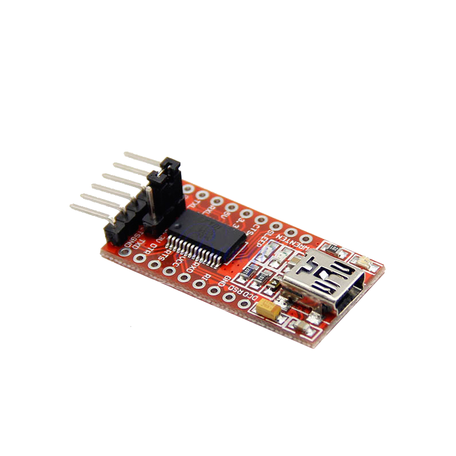 I have some problems on connecting S8 to ESP8266. I've ordered my first PCB, but somehow (don't ask why ) I've made mistake on layout. I'm using Wemos D1 (I've tried on multiple boards, as well as multiple S8). If you upload some photos maybe we can help? Perhaps as simple as only use pinheaders on the two unused holes and wire which can be crossed to connect RX to TX etc ..
PCB scheme (but I can't change it anyway). Would it be an idea if I sponsored you with a new PCB and you in return ship two of those PCBs my way? I could even do the order and give you some S8 (QA rejects) together with the PCBs? Did some more testings, wanted to make a longer cable to run the S8 outdoors. To be sure that outdoor values are correct (400ppm). So I made a long cable to communicate with the S8 (25meters) ppm value became 10.000ppm in ESPeasy . ok, switched the idea, ESP+S8 outdoors. But now the value remains 10.000ppm while the S8 is directly connected to the ESPmodule. Did some resets, disconnected power (value became 0ppm) and after few seconds again 10.000. Where do you live? I want to send you some other units to test. If you buy one from my shop I'll send you 2 more. Now that is no good. If you use hardware serial you need to turn the serial communication off in the advanced settings. Or else the S8 and ESP will talk to each other - not understanding a word. Thanks. I'll try and report in the evening. HW Serial Swap and Enable Serial port disabled (unchecked). For mega-20190110 nothing in logs (checked all levels), just always one line " Senseair: co2 = 0"
I have the same as you, with the newest builds. I reverted back to 18 12 2018. I haven't tried disabling the HW serial port when re-routing HW serial to D7 and D8. I'll reflash one and try. Disabling the serial port didn't work for me either. Back on 18 12 2018. P.S. : I have 22 Ohm resistors in series with RXD and TXD. I guess that's also fine? Hi, thanks for the offer! But I first want to get this one working to get some 'trust' into the s8 . I'm now having one last exam next week, then I will take a look agoain on my s8. I think I will connect it with an FTDI usb converter (have one laying around here) to a windows computer with the UIP5 software from senseair. I think this will give me more feedback about what is going on, right? Yes that should be enough. connected the S8 to an FTDI chip, but the software keeps saying 'specified hardware is missing'. I powered the S8 with an external PSU en both GND the FTDI and S8 together. Just connected TX and RX to the S8 and FTDI, GND both devices (FTDI and S8) end VCC 5V from external PSU. You need to check the "allow S8..." (or something similar) for the program to recognize the hardware. Check the modbus "permanently allow..."
Praise the lord! That was the trick! PS. I'm no longer working for Senseair. Some weeks ago we decided to let go of each other. I'm too committed to ESP Easy to give Senseair enough love on a daily basis. I'm still selling sensors and am very closely connected to the company. crazy, could the PSU be the reason? Now I'm using a 3 amps 5VDC. The S8 will average 30mA (peak at 300mA), the ESP82XX will average at 80mA (peak at 170mA). That means that a 500mA PSU should be enough. But maybe the new PSU is giving a sturdier current? I'm no longer working for Senseair. Some weeks ago we decided to let go of each other. I'm too committed to ESP Easy to give Senseair enough love on a daily basis. I'm still selling sensors and am very closely connected to the company. Wow, that's surprising! What will you do now? I'm doing consulting jobs (making front end stuff with back end consolidation of data) for a former employer. Will try to gather enough money to stay afloat for some month and be able to dedicate 100% on ESP Easy. We're doing some stuff on a server side application that will make your ESP Easier to maintain. Check provided voltage (not ampers), that could be a reason. I've tried to power my device (see PCB above) directly from mikrotik router (it has USB input) and as result I got about 2000ppm. Then I've connected another device (both with S8) to dedicated PSU (500ma is enough) and it's 1000ppm at the same place. And also, try to change your cable (from PSU to ESP\S8) to another one. Some bad cables may lead to voltage drop about 1v (for 1 meter!). Yeah correct, but I discovered that my PSU was to low in Amps like you experienced! Very happy now with the S8! My favourite Chinese shop sells a very cheap device that can be plugged into the USB power supply, and then the cable to your device plugs into the Chinese device. It shows V and A.
I did not search for the cheapest, but I know there are several differend kinds for varying prices. This is worth having in your toolkit!